Posted on 04/30/2017 at 1:04 pm. 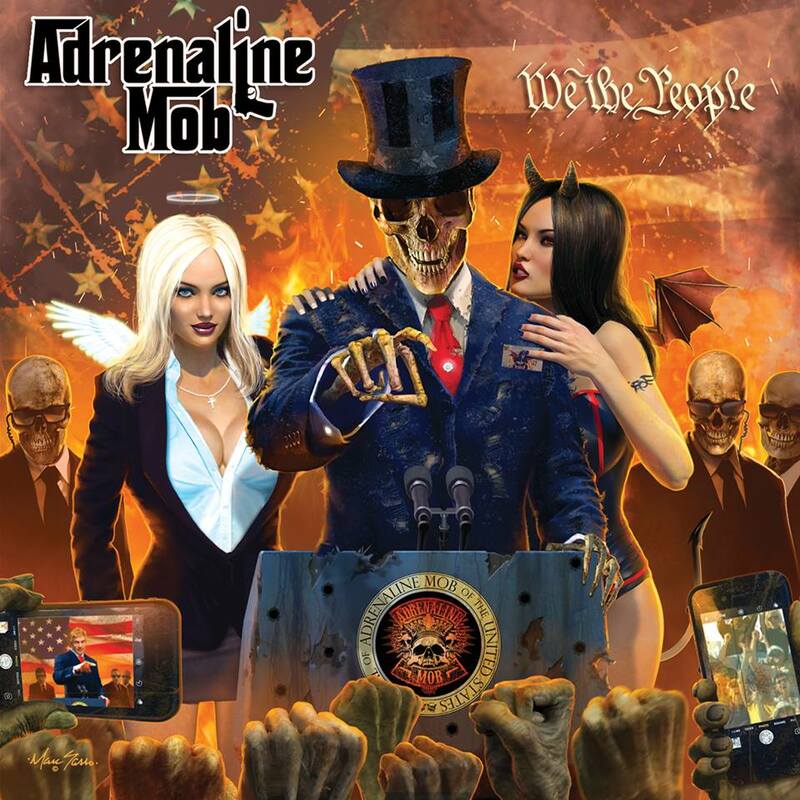 One of music’s more bona fide ‘supergroups’, Adrenaline Mob, have announced they’ll soon be releasing a brand new album. That album, ‘We The People‘, will see release through Century Media on June 2nd and consist of thirteen songs. A new Official Video for ‘King Of The Ring‘, featuring singer Russell Allen (Symphony X) and guitarist Mike Orlando, can be seen below. The clip and new record, the follow up to 2014’s Men Of Honor, are the band’s first with new drummer Jordan Cannata and bassist David Zablidowsky (Trans-Siberian Orchestra). Original Adrenaline Mob drummer Mike Portnoy left the band in 2013 while his replacement, drummer AJ Pero (Twisted Sister), died in March 2015 of a heart attack. ‘We The People‘ will be available for purchase as a special edition CD digi-pak, gatefold 2LP+CD, and on all standard digital and streaming music platforms. Jul. 15 – Sanford, FL – West End Trading Co.